O. 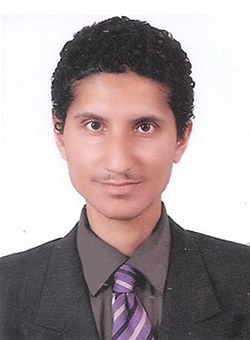 A. Marzouk, “Combined Oxy-fuel Magnetohydrodynamic Power Cycle,” ECO'2015 (National Conference on Energy Challenges in Oman), paper # 2314, Salalah, Sultanate of Oman, December 9 - 10, 2015. C. R. Woodside, K. H. Casleton, E. D. Huckaby, T. Ochs, D. Oryshchyn, G. Richards, P. A. Strakey, J. Pepper, I. B. Celik, J. Escobar-Vargas, D. C. Haworth, O. A. Marzouk, and X. Zhao, “Direct Power Extraction with Oxy-Combustion: An Overview of Magnetohydrodynamic Research Activities at the NETL-Regional University Alliance (RUA),” 29th Annual International Pittsburgh Coal Conference, Pittsburgh, PA, October 15 - 18, 2012. O. A. Marzouk and E. D. Huckaby, “New Weighted Sum of Gray Gases (WSGG) Models for Radiation Calculation in Carbon Capture Simulations: Evaluation and Different Implementation Techniques,” 7th U.S. National Combustion Meeting, Atlanta, GA, March 20-23, 2011.
Who's Who in America 2012 (66th Edition) and 2013 (67th Edition) by Marquis Who’s Who (the publisher of Who’s Who in America since 1899). These editions feature the credentials of the country’s most accomplished and influential individuals. Who's Who in Science and Engineering 2011-2012 (11th Edition). This edition features a group of the most gifted and internationally recognized scientific and engineering professionals in the world. O. A. Marzouk, “Gas Chemistry and Radiation Modeling for Syngas and Oxy-Fuel Combustion,” Seminar at the Argonne National Laboratory – Argonne Leadership Computing Facility, IL, January 31, 2011.